Have you ever stumbled on a secret ingredient so wondrous and unexpected that you were simultaneously torn between telling everyone you know (or posting it on the internet) and taking your secret to the grave? It seems the former has won in my case – so pull up your chairs, folks. 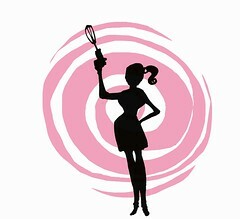 I have used my secret ingredient in cookies, breads and pancakes, all to sensational reviews. It transforms a banal banana nut bread to a stand-up-and-take-notice event. My mother’s English (especially in the written form) is not the greatest and this kind of mix up has occurred my entire life (imagine as a child for asking for Sugar Corn Pops cereal and getting corn flakes – close, but no cigar). I immediately shoved it in the back of my pantry and made do with the flour I had. Fast forward five months. I have a hankering for chocolate chip cookies, but I’m all out of flour, all except the Indian durum atta flour that my mom mistakenly bought all those months ago. What the heck – when chocolate calls, chocolate must not be ignored. The flour was gritty, pale yellow and had a grainy, nutty smell. I could see and feel it was a whole wheat flour from its coarse texture and bits of grain. All the better I thought and went ahead and made a batch. The flavor was fuller and nuttier and texture more complex than your average chocolate chip cookies. I was intrigued. How would this taste in something else, like banana nut bread? I made a loaf and while I planned to use it in my blog, the loaf literally disappeared before I could even get my camera. Durum atta flour is made for anything with nuts since it amplifies the nutty flavor while adding its own unique texture and taste. It also makes the edges crispier, which I particularly love. Here’s my favorite pancake recipe with my new secret ingredient. I love making these Christmas morning or for Mother’s Day (wait – why am I cooking on Mother’s Day?). They’re fluffy yet hearty and taste heavenly paired with sliced bananas and real maple syrup. 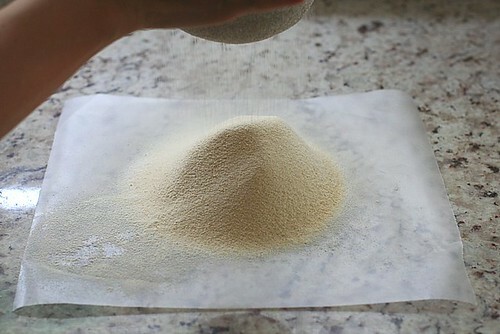 Sift the flour, baking powder, baking soda, sugar and salt on waxed paper. 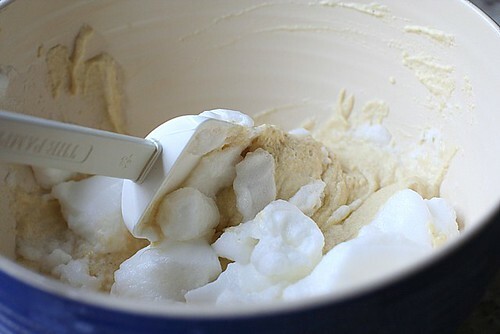 Beat the eggs whites with a electric hand mixer until stiff. Beat the egg yolks, milk and ricotta together in a separate bowl. Add the dry ingredients to ricotta mixture and mix lightly. Fold in the egg whites gently. 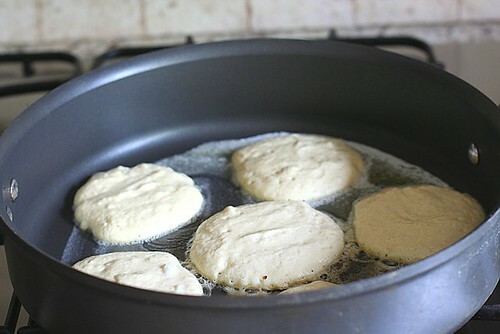 Heat a large nonstick skillet or griddle over medium high heat Melt a pat or two of butter and pour 1/4 C. of batter and cook for a few minutes until bubbles form on the surface. Flip and cook for a couple more minutes or until golden brown. Serve warm with maple syrup and sliced bananas or strawberries. No, that’s not Photoshop – they really are that golden. I won’t tell if you start using durum atta flour in your baked goods; it’ll be our little secret. 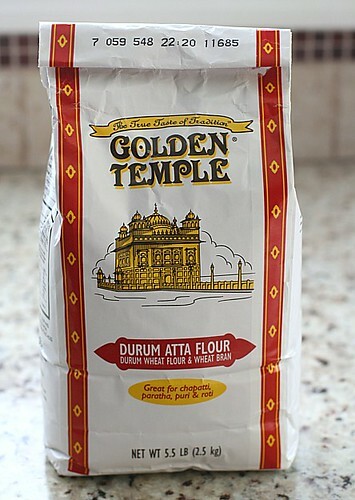 If curiosity is getting the better of you, durum atta flour is available at Indian grocery stores and on the web. Post a comment or send me an email of ways you’ve tried your new secret ingredient! how ill i ever find that stuff? who knew! i’m going to start using my atta flour for non-indian breads. 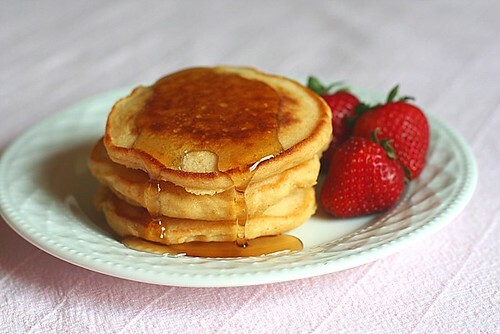 pancakes sound great! 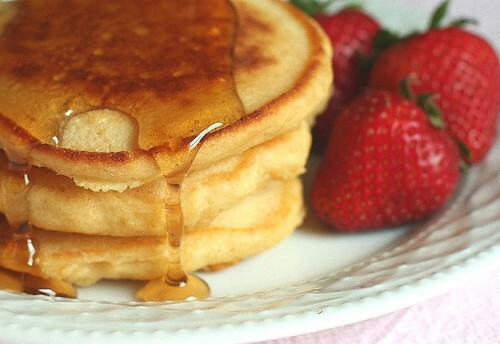 These look to die for and lighter than other pancakes. Welcome to the Daring Bakers, good luck with this month’s challenge! These are the prettiest pancakes ever! Thanks for the tip. I just shared your post with my wife. I also submitted this to “Stumble Upon”. Oh man, that looks delicious. I gotta try it. Oh man, this is the comfiest blog ever..love it! Keep cookin! That looks unbelievable. Thanks for sharing your secret weapon! but knew it would be months before I could hunt down the flour. Imagine my surprise when i went to the regular old supermarket this morning and there in the indian food section (OK it’s a NICE market) was a 20 lb. bag of durum atta flour! I totally bought it right up. It is perfectly smooth—no bits or flecks, but I made the Chapattis from the directions on the bag (flour and water, that’s it) and we all loved them. I can’t wait to try it in other ways. I do this too! My mother cooks a lot of Indian food, and the pancakes I enjoyed throughout my childhood were made with half Atta and half all-purpose flour. It’s an amazing difference, isn’t it? Do not have website. I would like recipes with durum atta four. Thank you.